A group of banana plantation workers are posing for this picture. They all wear dirty, white shirts. The ground is rough, with no discernable road. 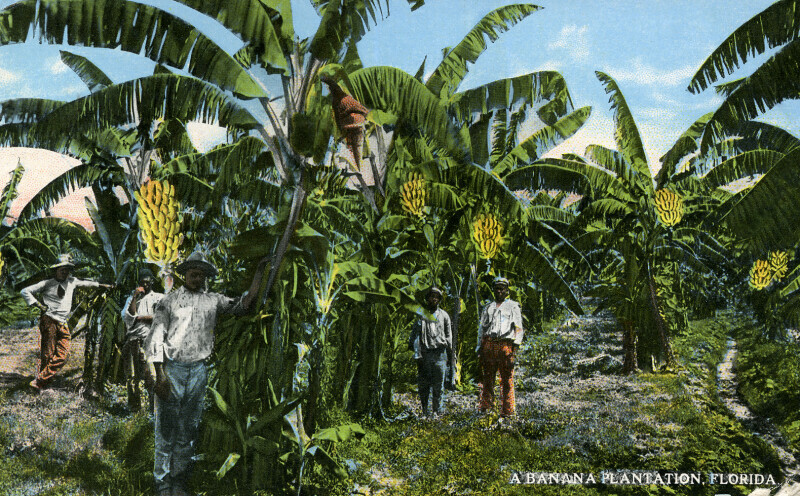 Bunches of bananas can be seen in the trees. WARNING: You are about to download a 5.2 MB TIFF!